Since it was released in 1998, the Corolla Sedan has been a go-to compact car for good gas mileage and reliable safety features. 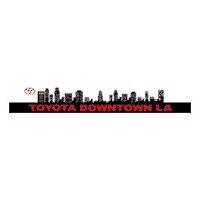 Whether you’re shopping for a 2015 Toyota Corolla S Premium or a 2017 Toyota Corolla LE, you can find one here at Toyota of Downtown LA near Mission Hills. Currently, we have 7 used Corolla Sedans in stock. Browse our pre-owned Corolla inventory below! If you find a model you like, apply for financing online! We offer one of the largest selections of used vehicles near Cerritos and West Hollywood. Are you shopping for a pre-owned Corolla in the colors Black Sand or Super White? We can help you find it! Additionally, our sales and finance team will work with you to help you get the possible rates and terms on a car loan. We can even assist you with trading in your current car! Do you have questions about a used Toyota Corolla for sale above? Contact us online or visit us near Huntington Park and Alameda!